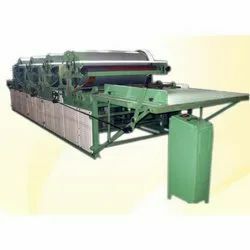 We are involved in manufacturing and supply of flexo printing machines that are used for the printing of paper, board and corrugated sheets with water & solvent based ink. 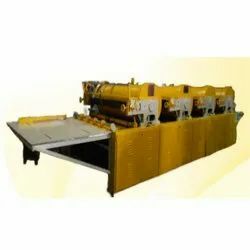 Fabricated in sync with set industrial benchmarks, these machines are provided with hard chromium plated impression roller for sharp impression, best quality printing and excellent durability. Its mainly use in Cardboards and Corrugated box. 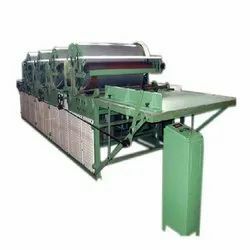 Single Color Flexo Printing Machine is designed to help corrugated box manufacturers to keep pace with the demand for sharp and excellent printing on corrugated boxes. Incorporating the latest technology, Flexo Printer prints better and dries aster resulting in increased production. The transfer of image is accomplished through Rubber / Nylon / Photo polymer Stereo of 2. 8 mm / 4. 7 mm thickness, using liquid water - based or thinner - based inks. For Printing Kraft paper and corrugated boards. Only our machine can print both the paper and corrugated boards. Distinct and precise impression, instant drying, extremely simple to operate, easy accessibility for cleaning. For Forprinting Kraft paper &corrugated boards Distinct & precise impression, instant drying, extremely simple to operate, Easy accessibility for cleaning. Packaging Details: Wrapped in BOPP Film and Wrapped in Wooden Cases. We are offering Double Color Flexo Printing Machine to our clients. This equipment provides 1-4 Colour Printing. High precision anilox roll is fixed. Single sheet manual feeding is there. Ideal for printing on Kraft paper & Corrugated Board and Non woven fabric and PP Cement bags. Uniform spreading and controlled flow of ink. This equipment provides 1-4 Colour Printing. High precision anilox roll is fixed. Single sheet manual feeding is there. Ideal for printing on Kraft paper & Corrugated Board. Uniform spreading and controlled flow of ink. 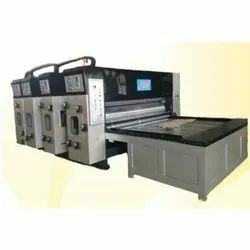 Two colour flexo printing machine provides 1-4 Color Printing. High precision anilox roll is fixed. 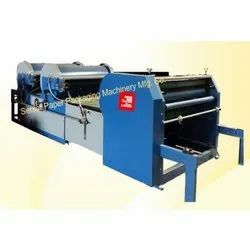 Chain drive feeding of Sheet is provided. Single sheet manual feeding is there. Ideal for printing on kraft paper & Corrugated Board. Uniform spreading and controlled flow of ink. Slittering and scoring unit is optional. 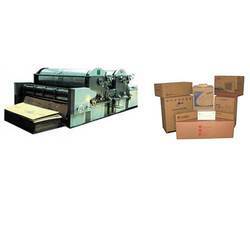 Two Color Flexo Printing Machine mainly use in Cardboards and Corrugated box. Senior Boxmac Has Launched A New Product In The Market Roll to Sheet Flexo Printing Machine which helps to save labor, high-speed production, accuracy and better printing quality. 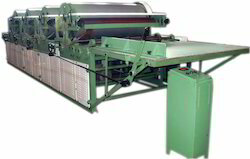 This Machine is designed to print direct from Paper Roll and cut it into the sheets of required sizes. Flexo Printer available in single/ Double / Three & Four Colour Printing. High precision Anilox rolls are fixed, Uniform spreading and controlled flow of ink, attached with Roll to Sheet Cutter Machine online. Sheet Cutter synchronized with shaft for high-speed production, Counter and speed Control panel along with all standard accessories. Anilox Roller & Rubber Roller. With Variable Speed A.C. Drive. Driving system is adopted with imported synchro-belt, running steadily and suitable in high speed running. Conveying belt is made of imported PVC material, with long life span and good quality. Synchronize with Simplex Sheet Cutter. Whole structure is compact, with beautiful appearances and high work efficiency. we are offering Double Color Flexo Printer. BOXMAC Three Colour Paper Flexo Printer Machine provides 3 Colour Printing. High precision anilox roll is fixed. Single sheet manual feeding is there. Ideal for printing on Kraft paper & Corrugated Board. Uniform spreading and controlled flow of ink. We are offering Four Color Flexo Printing Machine to our clients. 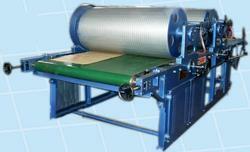 Adopt High Quality Anilox Roll and Rubber Roll for High Quality Printing. Adopt push Button controller, adjustment phase directly, adjust quickly and precisely. Adopt electrically separation, pneumatic locking and pneumatic brake. Ink Circulation pump is provided. Auto sprinkle lubricating system, ensure the machine precise and use life. Slot blade phase adopts 360 degree electric position and negative turn slightly adjust, blade axes treated by rigidity chroming electroplate, and nicely grinding, firmness durable. Adopts hackle blade.